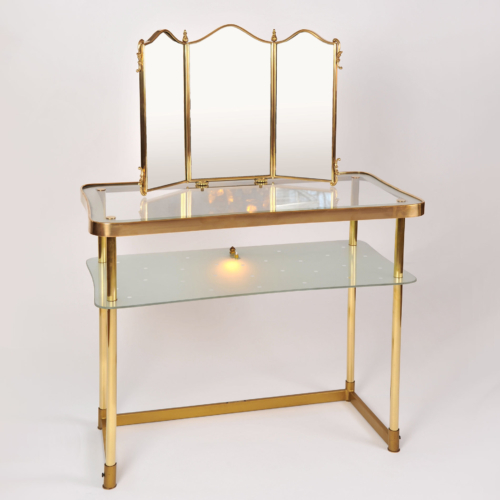 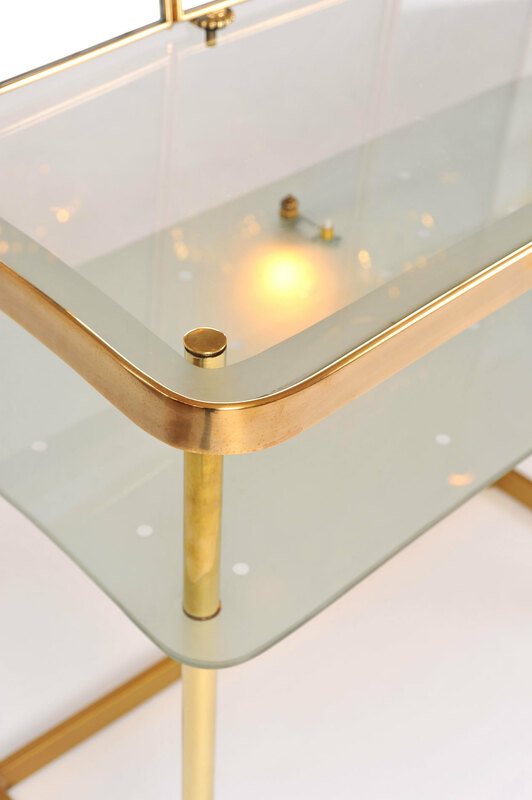 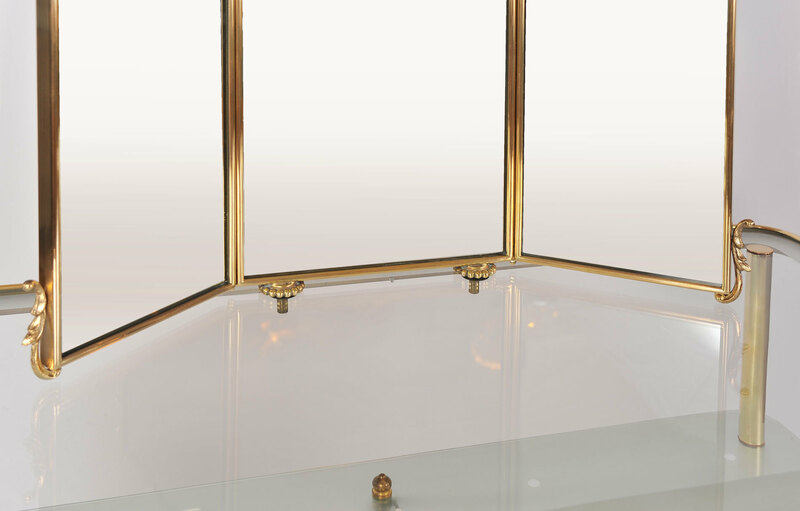 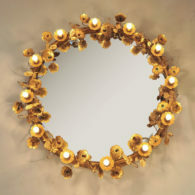 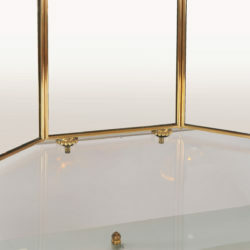 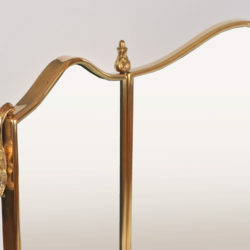 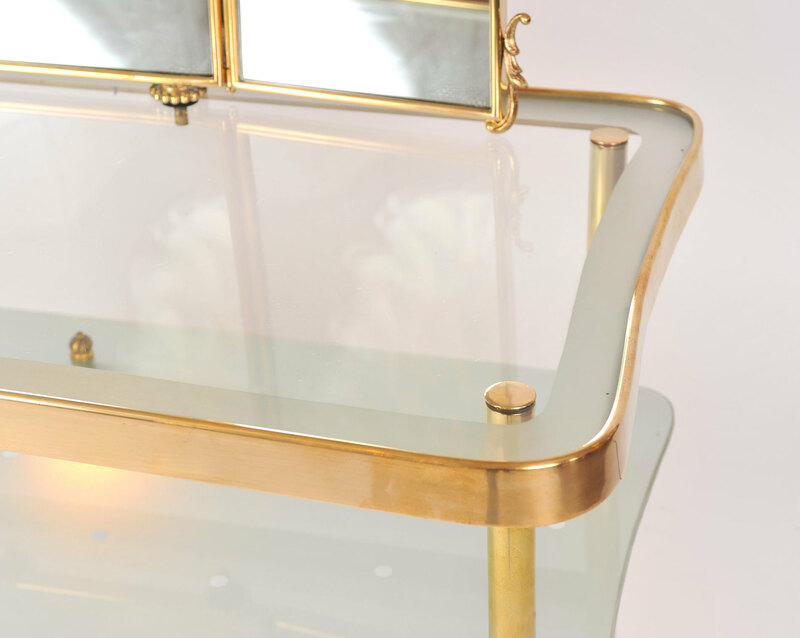 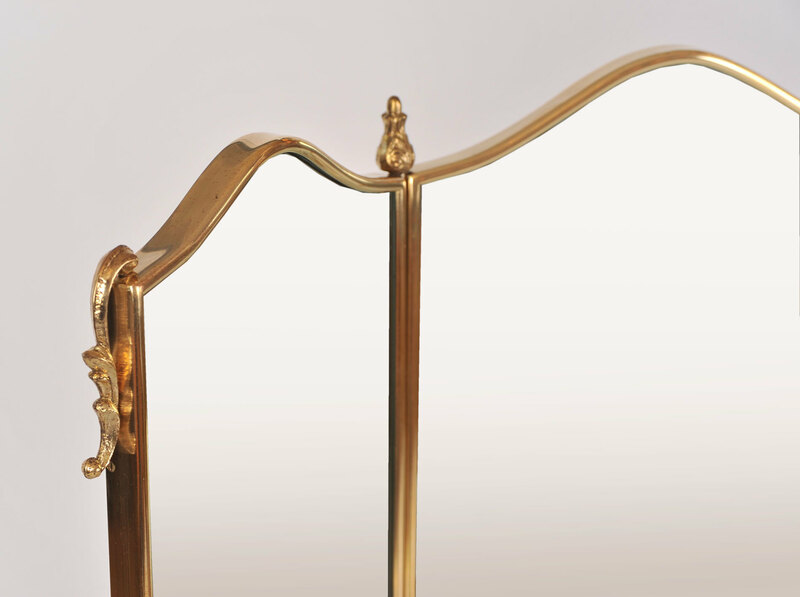 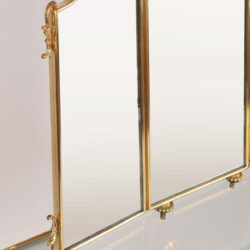 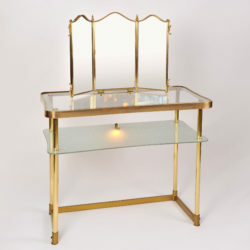 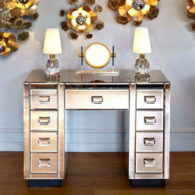 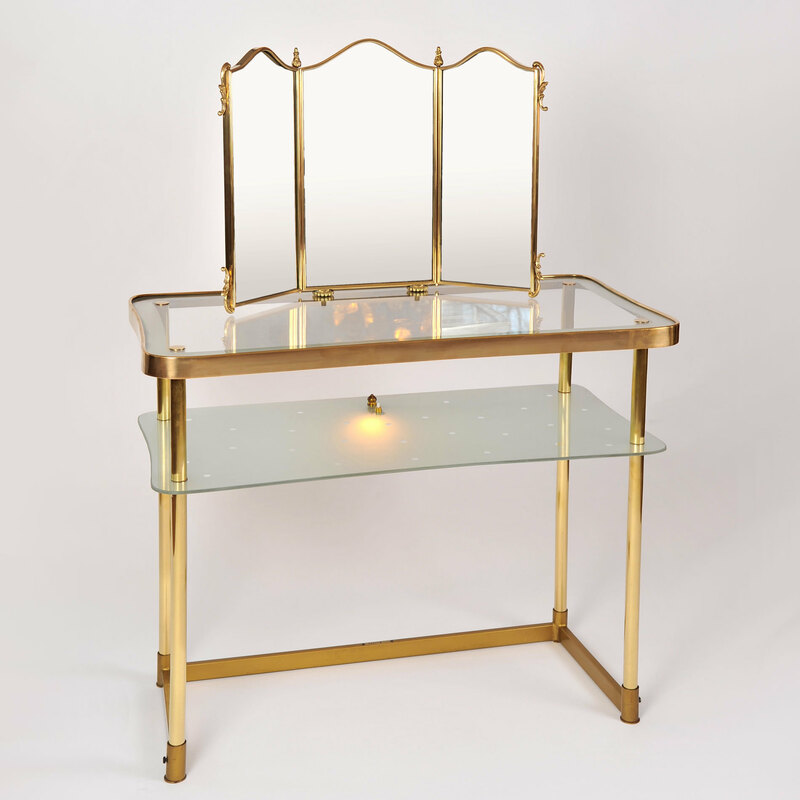 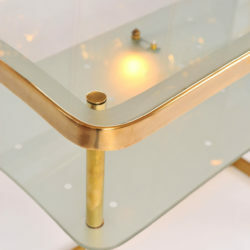 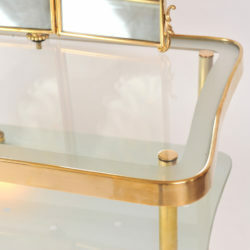 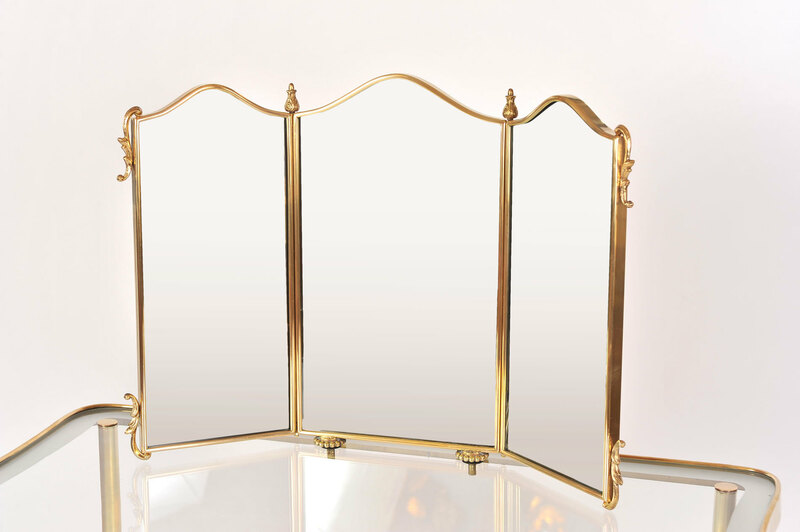 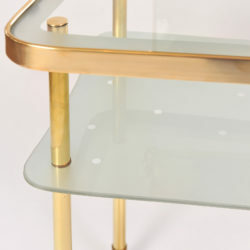 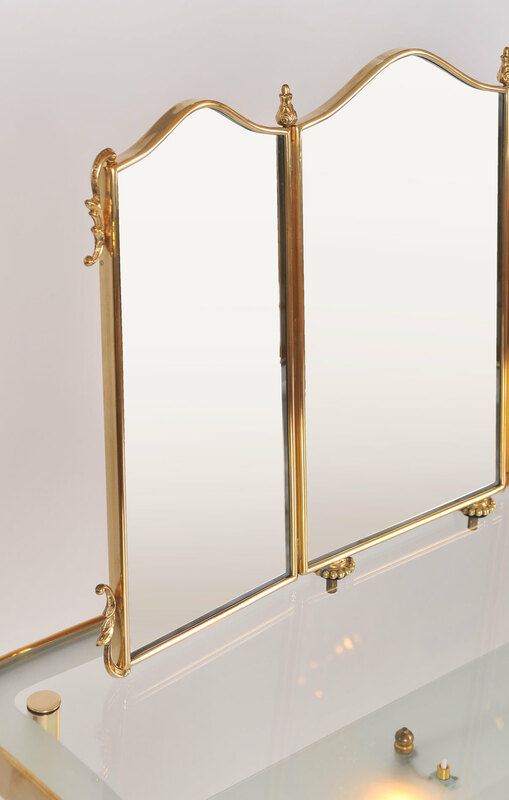 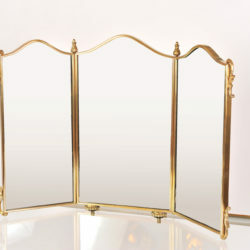 Two-tiered 1950s dressing-table in brass with integral triptych mirror. 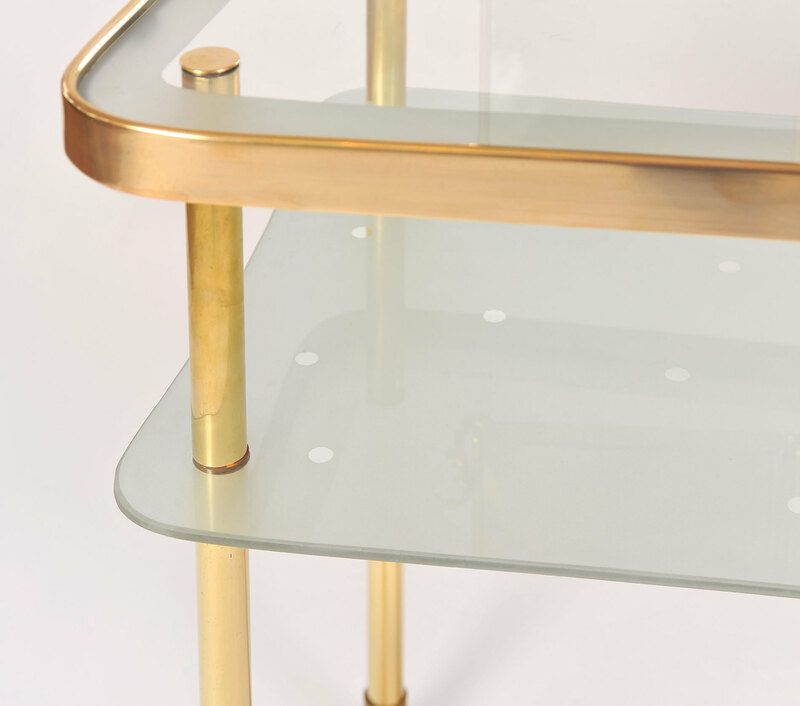 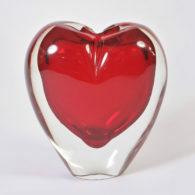 The lower shelf is in etched glass with a polka dot design. 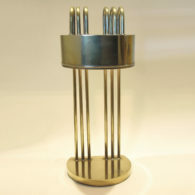 A switch operates a fitted light, all on a rectangular base.